We first met up with Emily and Aaron back in April. Our plan was to grab a quick coffee after work, and turned into a two-hour visit! Jon and I left feeling like we had just been with old friend. 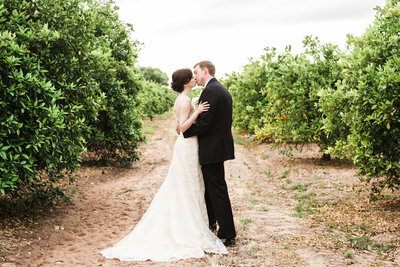 We couldn’t wait to get these two lovebirds in front of our cameras! We planned their mountain engagement session after we learned that was where they went for their first date. There is something so special about documenting a love story at the very place it started. Truthfully, while Mount Lemmon was their first date, their story actually started two months earlier. Emily, while a bridesmaid in her best friend’s wedding, walked down the aisle with a cute boy. Aaron, knowing a good thing when he saw it, offered to teach her to two-step later that evening. They hardly left the dance floor the rest of the night. After endless skype chats and countless text messages, Emily flew out Tucson to see him again. For their first official date, Aaron took her to see the view of our city from the top of Mount Lemmon. It was the first of many adventures that have filled their days since. Trips to the lake, excursions among the many trails of Arizona, and one epic hike to Horseshoe Bend, where she came home with a sparkly souvenir on her finger. 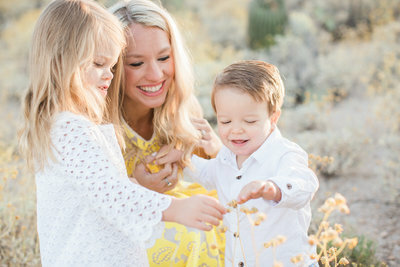 As the heat rises in the desert, a mountain engagement session is a popular request. We will never tire of these jaunts to the trees and boulders that make Mount Lemmon special. But, it is couples like Emily and Aaron that make these trips memorable. Laughing and soaking up the joy that comes when two people choose to say “I do ” to a life together will never get old. Hearing their stories, and seeing the intricate lacing of two souls, joined by the promise of forever will always be the best job in the world. We are so excited for October! We heard that there would definitely be two-stepping, and we plan to join them on the dance floor in celebration!